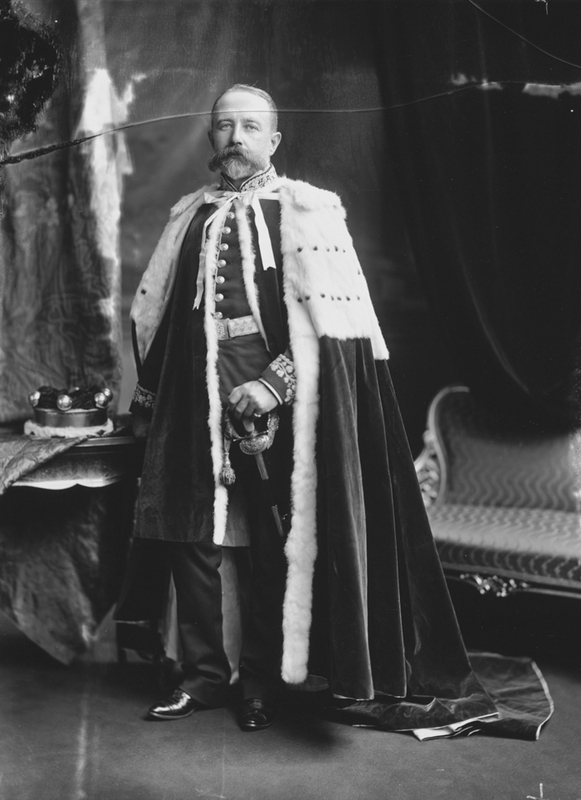 Hamilton Tilson Fitz-Maurice-Deane-Morgan, Baron Muskerry (1854-1929). Sitter: Hamilton Tilson Fitz-Maurice-Deane-Morgan, Baron Muskerry (1854-1929). Costume: Peer's robes over Dress Uniform, Lord Lieutenant (Irish County) [Old Pattern]. Biog: Burke's Peerage; Who's Who; The Times, 11 June 1929, p 11a.